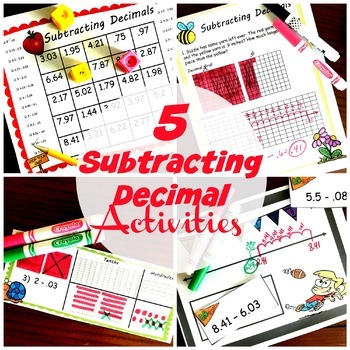 These five activities are perfect for helping your 5th and 6th graders work on decimal subtraction that involves regrouping. The children will have opportunities to use many different visuals to help them find the answer. 1. 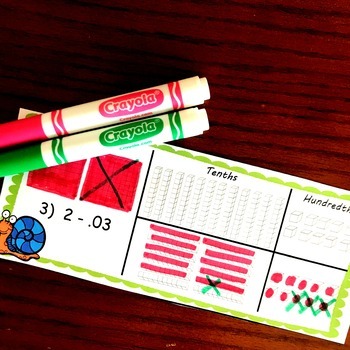 Base ten block task cards - These base ten block task cards help children work through regrouping without having to take out the actual base ten blocks. 2. Number line activity - solve subtraction problems on a number line. 3. 5 Word Problems - these problems require children to solve subtraction problems and prove their answer through decimal grids, number lines, and equations. 4. 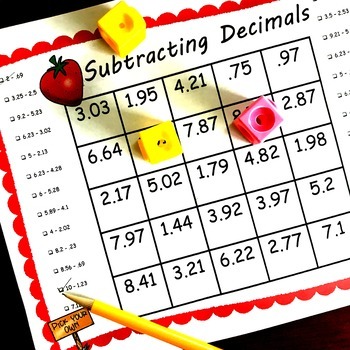 Game - This no-prep game gets children practicing their decimal subtraction skills. 5. Cut and Paste - need an assessment. 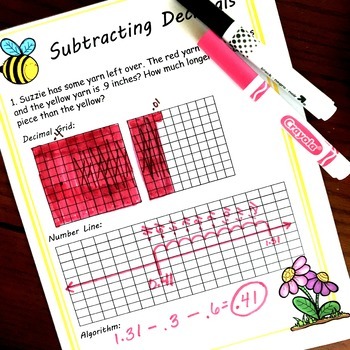 These cut and paste activities are a fun assessment to see if they have mastered subtracting decimals.